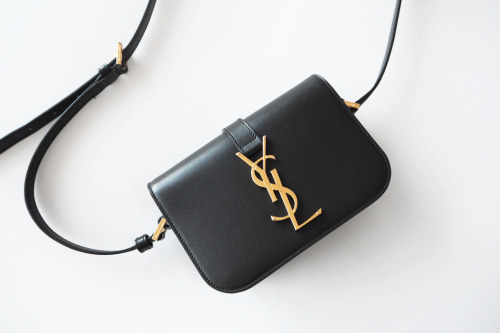 Every few years one designer designs the handbag every girl wishes she had. 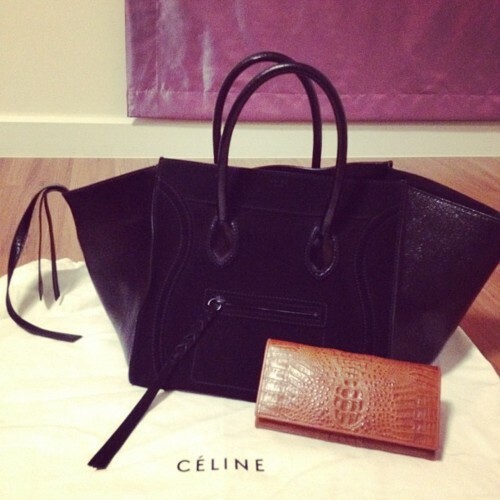 Two years ago it was Celine, with the Luggage Phantom bag that every starlet, model, and Kardashian had slung over their shoulder or resting snugly on their forearm. That specific bag did so well it’s still an IT bag, in my opinion. 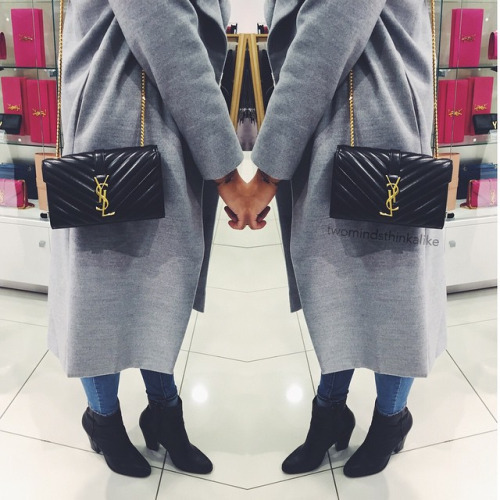 But recently there has been a new reigning queen: enter the YSL satchel. 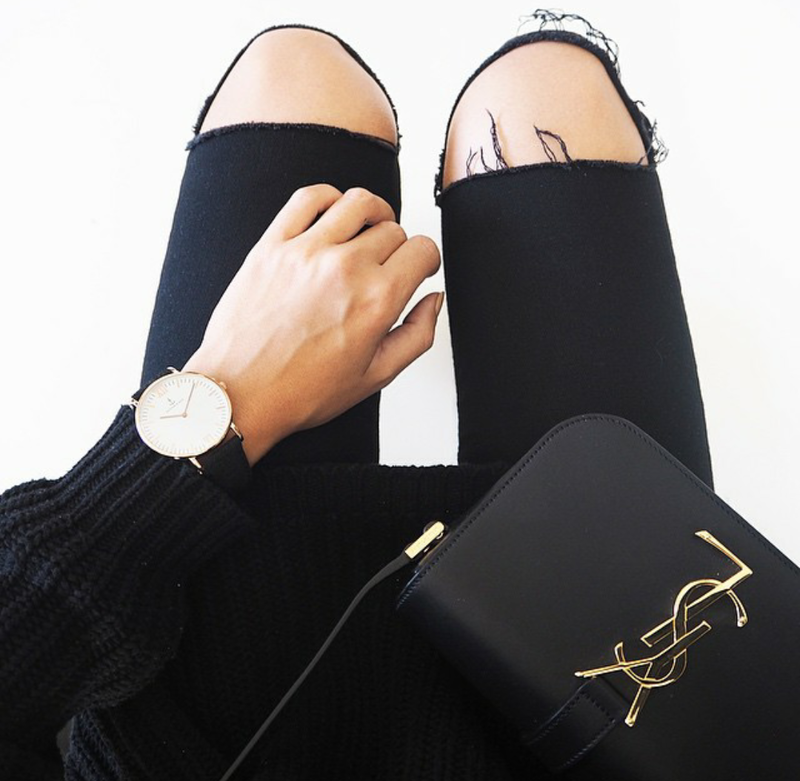 This bag is littered all over the internet, from every major fashion blogging website to the most visited street-style tumblrs. It is literally the bag you have to have. For those of us who make a modest living (ahem–me! 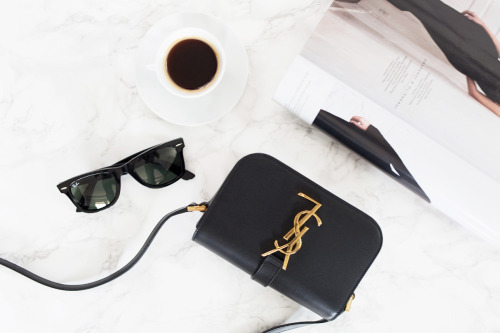 ), this bag is selling for about EUR 1,500.00–still beyond an ideal price range–but less than half the price of the Celine luggage bag which generally sold for EUR 3,500.00 and up. 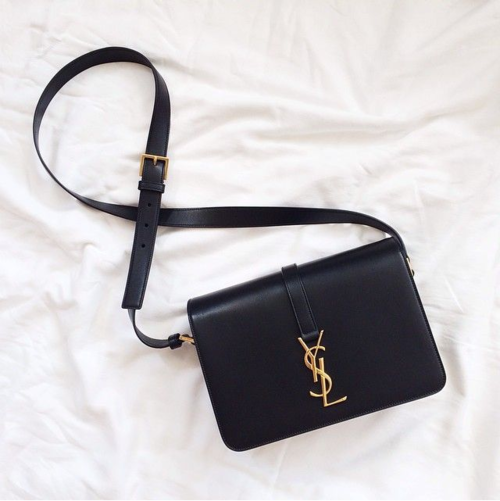 You’ll find below an array of the different styles, colors, and textures of the YSL satchel. 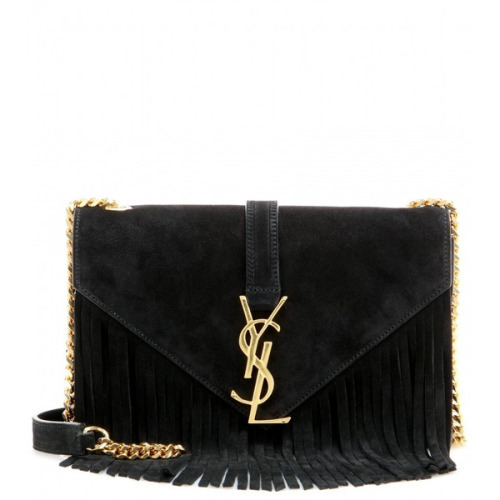 Many of these are personally customized to the buyers needs, which is great if you want your handbag to represent your own unique style. 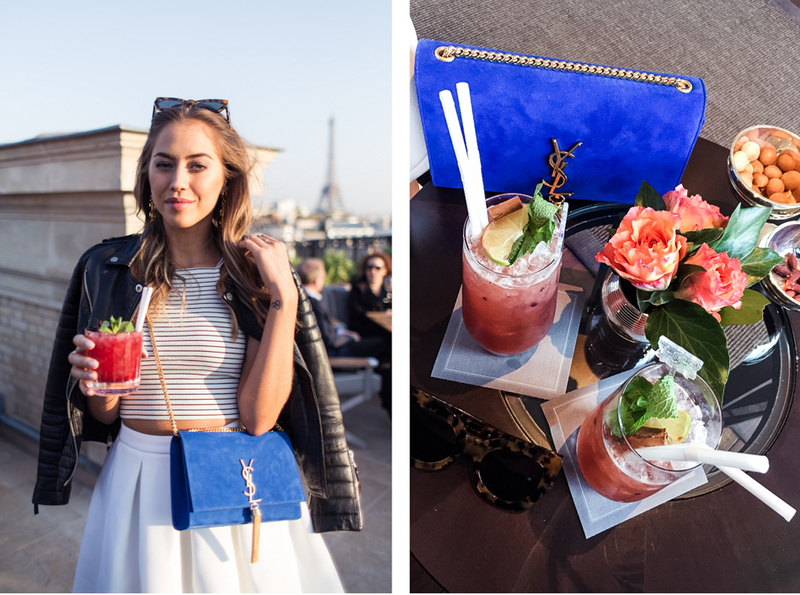 Well known Swedish fashion blogger Kenza Zouiten wearing the YSL purse in black and blue during her recent visit to Paris.